Character meals are an important part of a Disney vacation for many travelers. Character dining gives you a chance to take photos and get autographs from multiple characters in a short period of time while taking a break from lines and the heat (or rain or cold, depending on the season). Even though these experiences can be a little pricier than other dining options at Disney parks, the benefits often greatly outweigh the few extra bucks. My family almost always makes time for at least one character meal on every Disney trip we take. Since Disneyland is the resort we visit most often, we’ve experienced all of the character dining meals in Anaheim and can offer up some valuable comparisons. I’ve created a handy printable below that summarizes the options in chart form so you can choose for your family too. First things first: what do you need to know about character breakfasts and other meals at Disneyland? First, be aware that compared to Walt Disney World, Disneyland actually has relatively few character dining options. There are currently only 4 choices, to be exact (the fifth, Ariel’s Grotto closed – permanently – in January 2018). There is one character dining location in each of the three Disneyland hotels, and one in Disneyland park. Each has its own style so it is important to pick carefully. It’s important to note in addition to closing Ariel’s Grotto in early 2018, Disneyland changed two of the other character meals on July 10, 2018, as is reflected in the list above. If you find older information about the character meal choices at Disneyland, it is likely outdated. Tread carefully! BREAKING: Disneyland has just posted a new character dining experience today, available for reservations March 30, 2019. Disney Princess Breakfast Adventures will be a breakfast with Disney princesses in Napa Rose in Disney’s Grand Californian Hotel. This will be a super-premium experience at $125 per person (adults and children) and will be available 8:00 am until noon Thursday through Monday. Although we won’t know exact details until it opens in a few months, it sounds like it will include activities in addition to dining for much more of a special event experience. I anticipate Disney guests will want to plan several hours in their schedule to experience it. While character dining is very popular, Disneyland visitors don’t seem to make reservations as crazy-early as guests do at Walt Disney World, where the best reservations can be gone 180 days in advance. In fact, dining reservations don’t even open up until 60 days in advance at Disneyland. Nevertheless, I recommend trying to plan and reserve early for Disneyland too. That said, you may be able to luck into prime reservation times even just a week or two in advance of your trip. The hardest reservation times to get are usually at Plaza Inn for breakfast or Goofy’s Kitchen for dinner. What is the Best Character Meal at Disneyland? I see this question asked so often by travelers headed to Disneyland for the first time. If you see someone trying to answer it definitively, I’d actually recommend not taking their advice. Why? In my experience, the best character meal is different for every guest. For my family, the best character meal at Disneyland is the one that fits in best with our schedule, logistics and location first and foremost. We value park time and rides. Meals that work with our overall touring plan are best for us. We also go to Disneyland regularly, so we have more than one opportunity to try character meals. For a family taking a bucket list one-time vacation to Disneyland, their calculus may be very different. If they have a child who is obsessed with a certain character, the best character meal for them may well be the meal that gets them that coveted character interaction time and photo opp. The bottom line is that all of these meals are very good and you likely won’t go wrong with any of them. You just may go more right with some of them depending on your personal situation. As a result, the purpose of this post is to help you choose the character meal that is best for YOU. Here are the factors to think about in making your decision. The first major choice to make is whether you want to eat in-park or out-of-park in one of the hotels. If you are dining out-of-the park, you won’t need a park ticket that day to have a Disney experience. For that reason, I often schedule a character meal in a hotel location on my arrival or departure day when I already might not be purchasing a park ticket for just a partial day. This strategy allows my family to make better use of our park days and also potentially to save money by purchasing tickets for fewer days in the parks (don’t miss my many other Disneyland money-saving tips here!). Tigger is a regular at Plaza Inn. Plaza Inn in Disneyland park is the only character dining experience where a park ticket is required, so your choices of out-of-park options in the three hotels are pretty extensive. 2. What time of day? All of the character meals in Disneyland offer breakfast. Since the early morning breakfast hours can be valuable park time when lines are shortest, however, I highly recommend a non-breakfast option if you are an early-morning ride fan. There is only one restaurant that serves a character dinner (Goofy’s Kitchen). With the closing of Ariel’s Grotto in January 2018, there is no longer any location where you can eat lunch with characters. But all hope is not lost. Mickey’s Tale of Adventure now offers brunch through 2pm on Fridays, Saturdays, and Sundays. That is the closest to a new lunch offering as you may get. Brunch is now available to Storytellers Cafe on weekends with the new Mickey’s Tales of Adventure character meal. 3. What characters are a can’t miss? Even though there is only one guaranteed character, there are some characters that make fairly regular appearances at certain locations. For example, you’ll almost always see Stitch at Donald Duck’s Seaside Breakfast and Winnie the Pooh is a frequent guest at Plaza Inn. Minnie Mouse can regularly be seen at all four character meals these days. Check out the printable below for common characters you may see at each location. 4. What kind of food? The basic breakfast options at most of the character dining restaurants are all fairly similar. You’ll find standard fare like eggs, sausages, bacon, and Mickey shaped waffles everywhere. Mickey waffles and pancakes and more at the buffet at PCH Grill for Donald Duck’s Seaside Breakfast. But each restaurant does have some variations and unique offerings. For example, the grown-ups on my last visit to Donald’s Seaside Breakfast loved the chilaquiles, which is a traditional Mexican breakfast or brunch dish and is served with shredded beef, salsa verde, and queso fresco. If you are looking for something a little more unusual, I’d also recommend Goofy’s Kitchen, which serves some wacky foods. Sure to make your kids smile are choices like PB&J pizza. And of course, since Goofy’s offers dinner, there is more than just breakfast cuisine if you dine at the later time of day. The menus of every meal are available on the Disneyland website now, so check them out in advance to see what looks most appealing to you. 5. Indoor or outdoor dining? If you are visiting Disneyland during a pleasant time of year for weather, having outdoor dining as an option during your character meal could be a big draw. But if you are visiting during an Anaheim heat wave (they do happen – it was over 95 degrees during my visit in late September a few years back), you may prefer a location where you are guaranteed indoor seating and air conditioning. If indoor dining is a must-have, choose one of the three hotel restaurants, as all of them have only indoor seating. The in-park character meal at Plaza Inn has both indoor and outdoor spaces. While you can certainly make a request to be inside or out, there are simply no guarantees on where your table will be. Both siblings share a love for Dale (at Storytellers Cafe on left and Plaza Inn on right). 6. How big is your budget? Most character meals are right at about the same price per person (give or take a couple of dollars). Disney does not publish prices on the Disneyland website and prices do seem to fluctuate, so it is hard to compare precisely over time. Goofy’s for dinner is a tad pricier than the rest, but not by much. And Plaza Inn is usually a few dollars cheaper than the other breakfast options. When I recently dined at both PCH Grill and Storytellers Cafe in Fall 2018 to try the new character meals there, I paid $39 for adults and $23 for children (plus tax and tip). Some travel agencies used to sell discounted character meal vouchers, but sadly those have been discontinued in 2019 across the board. But remember that you can always save on your overall Disney vacation costs by purchasing tickets or a vacation package from Trips With Tykes partner Get Away Today. That will certainly help free up a little cash in your budget to afford a character meal! (Use promo code TYKES10 for an extra $10 off all package stays of 2 nights or more.) Find out my other money-saving Disneyland tips. 7. What Extras Interest You? While all character meals include food and character meet-and-greet time, a few of them have some extras that might matter to you or your kids. For example, at all of the character meals except Mickey’s Tales of Adventure, Disney PhotoPass photographers take a formal photo of you with the meal’s main character. If you have Disney’s MaxPass, your character meal photos are included just like all your PhotoPass photos are! Because there is no pre-meal photo opportunity at Storytellers, this might be a meal you should do on a non-park or non-MaxPass day. If your kids are outgoing and want even more character fun, they might like some of the offerings that allow them to get up out of their seats and interact with the characters. At PCH Grill, kids can dance to beach music with the characters during a regular dance party. And at Mickey’s Tales of Adventure, the characters parade around the restaurant every half hour or so, leading the kids who carry and play musical instruments and noisemakers. Of course, if you have kids who might be overwhelmed by the noise, the two quieter meal options at Plaza Inn or Goofy’s might be better for you! Anyone can dine at the hotel character meals. You do not need to be a hotel guest to make a reservation or dine. If you are staying at one of the Disneyland resort on-property hotels and can’t find availability for a character meal, call (714) 781-DINE and ask about Preferred Reservation Access. Disneyland holds back a small selection of dining reservation times for their hotel guests! Even with a reservation, you might not be seated immediately upon arrival. Leave some buffer time in your schedule for the day to account for this, especially if you are trying to make rope drop or a FASTPASS reservation time. Kids under 3 are free at all character meals. You should, however, count them in making your table reservation. The true count is needed to assure proper table size. Parking validation is available for character meals in the Disneyland resort hotels if you drive to your meal and park. But don’t try to use this trick to then go to the parks for the day – the validation limit is usually only for 3 hours. Don’t forget your autograph book! Character meals are some of the easiest times to get character autographs. Want to line up all the Disneyland character meal choices and compare them? You’re in luck! Check out the free downloadable printable with essential comparison information about Disneyland character dining, including what additional characters often make appearances at each meal. Looking for comprehensive travel advice to plan your Disneyland vacation with kids? I co-authored a book to help you do just that! 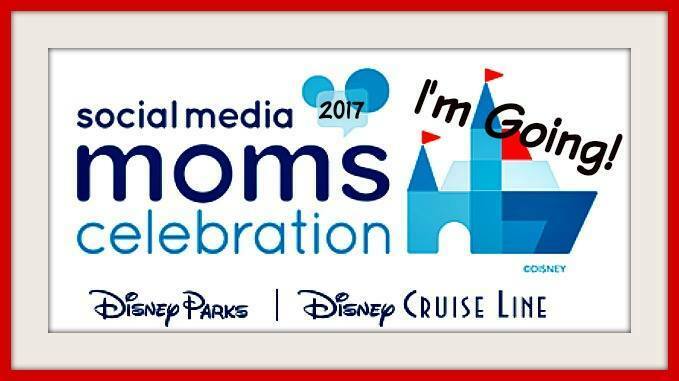 My Disneyland with Kids e-book co-authors are three other moms experienced in taking kids of a wide variety of all ages to the Happiest Place on Earth. We tackle character meals, the best hotels, flying and road tripping to Disneyland, and much more. Buy it on our site as a PDF or on Amazon in paperback. Kindle coming soon! This is awesome and very timely for me! I booked character meals at PCH Grill and Ariel’s grotto for our trip next week. Thanks for all the tips, my daughter is going to love seeing the characters during breakfast and lunch. She’s getting excited just seeing all of the pictures you posted above! Great choices! Hope you guys have a blast on your trip and get lots of autographs and photos! This is perfect! I will be using this for sure! Thanks so much! It sounds like if we use that site getawaytoday, to purchase character dining, we have to pickup tickets when we arrive. If we purchase tickets through this website, how do we make reservations? You usually have to go to the ticket booths to trade in for your voucher for character meals if you book through GAT. A little extra legwork for some savings – totally worth it IMHO! 😉 As for reservations though, you simply make reservations the same way any guest would direct with Disney — you need to book online or in the app through Disneyland’s dining reservation tool or call their dining reservation line at (714) 781-DINE. I’d always recommend getting the reservations before booking a voucher to make sure you can get the meal you want. This was perfect timing for me as we are planning our Disneyland adventure as we speak. It is such a time consuming job getting everything planned. Thank you for your great advice!